Located within the heart of the Muslim world, Swissotel Al Maqam Makkah is part of the prestige's King Abdul Aziz Endowment, Abraj Al Bait, just a mile stone from holy Haram, bringing breathtaking panoramic view of the ancient city and central area, enjoying 2 private entrances from Um AL Qura tunnel and Ibrahim Al Khaleel Street. 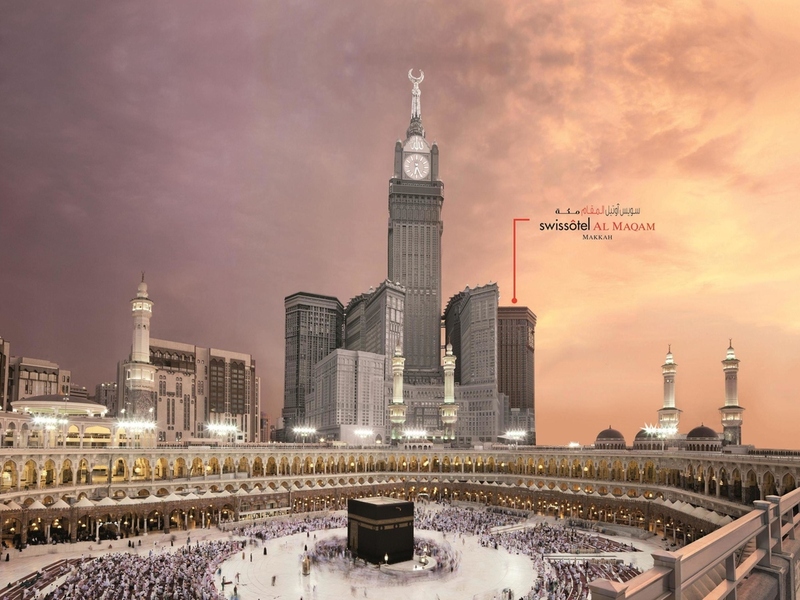 The hotel enjoys a large room's inventory reaching 1624 rooms and suites with 3 different views (City, Haram & Kaaba). Location ( Abraj Al Bayt Complex) : steps away from Grand Mosque, Dedicated Entrance, Premier Kaaba units. The biggest restaurant in the Middle East, capacity 2500 people max, Easy accessibility with dedicated entrance.